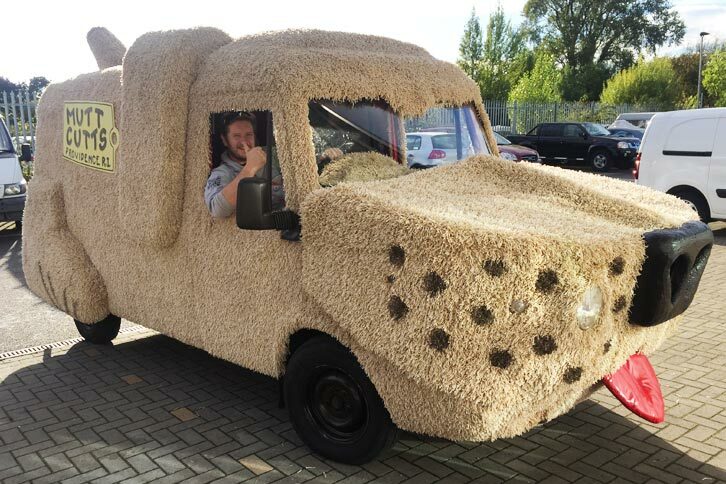 Our friend Andy approached us with a challenge; help him build a replica of the iconic movie vehicle from Dumb and Dumber, the Mutt Cutts van! 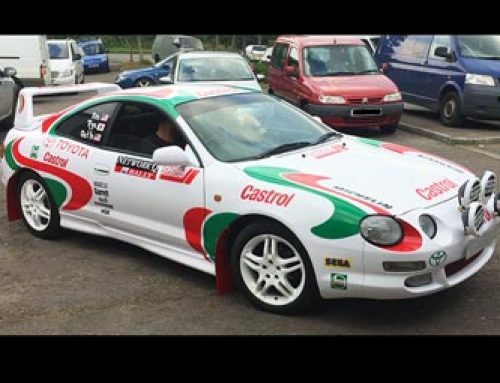 The end goal was to enter the vehicle in a cross-Europe charity rally to raise money for the British Heart Foundation. 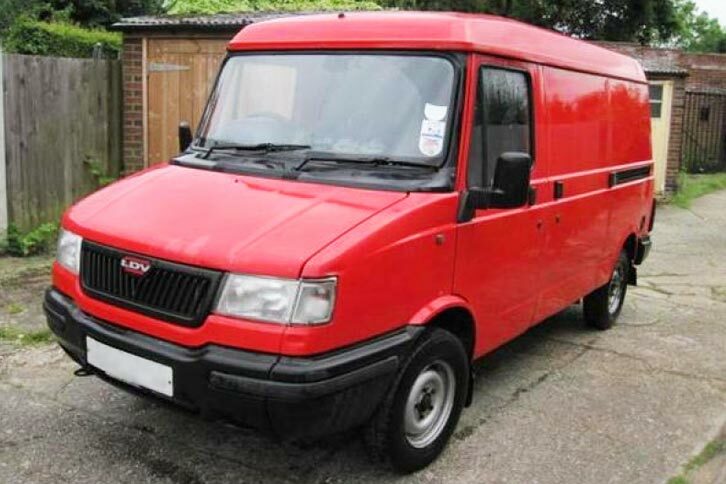 We began with an ex-Royal Mail postal van, a 2002 LDV Pilot, as it had the correct nose shape as well as a petrol cap perfectly positioned to fit under the hind leg. The first stage was to sand the paint to key the surface and clean off the dust ready for adhering the carpet. 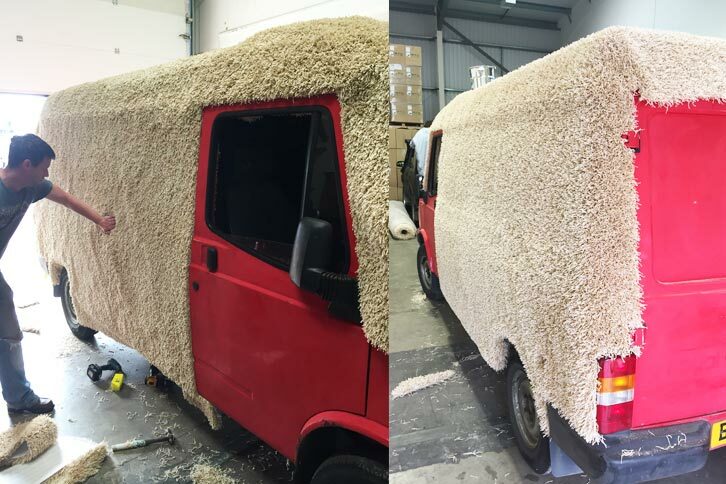 We used contact adhesive to attach the 2″ shag pile carpet with Andy’s background in carpet fitting proving vital and allowing us to achieve a really tight finish, cut in around all the features of the van. 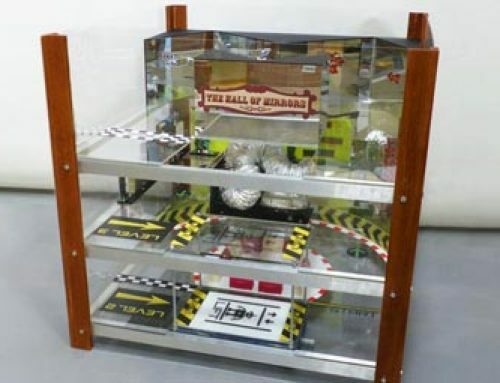 At this stage we had to keep in mind the final functional requirements such as opening doors and withstanding wear and tear on its journey. 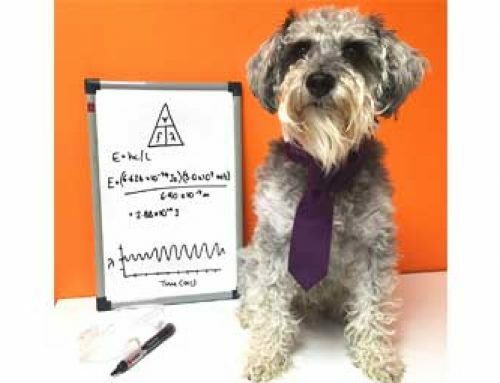 With initial upholstering complete, we started to produce the custom pieces to give more character and shape to the dog. 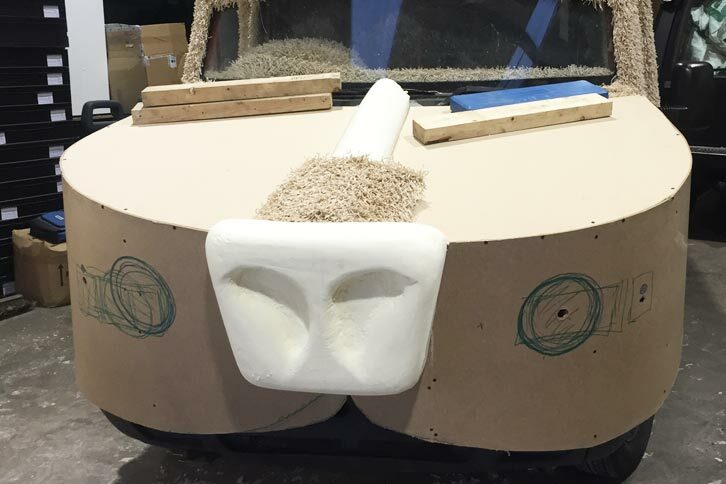 We shaped both ears and a small hump for the top of the cabin (head) from polyurethane foam before applying fibre-glass (GRP) to give strength and durability to the pieces. 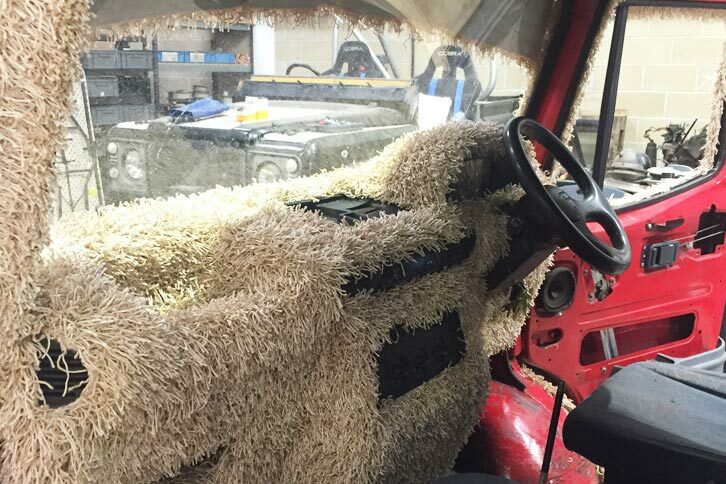 These were then bolted and glued to the van before upholstering in the shag pile carpet. With these elements in place the van was beginning to take shape! The next elements were the hind legs with the left side requiring a hinge and latch mechanism to allow the leg to be ‘cocked’ when filling up with fuel. 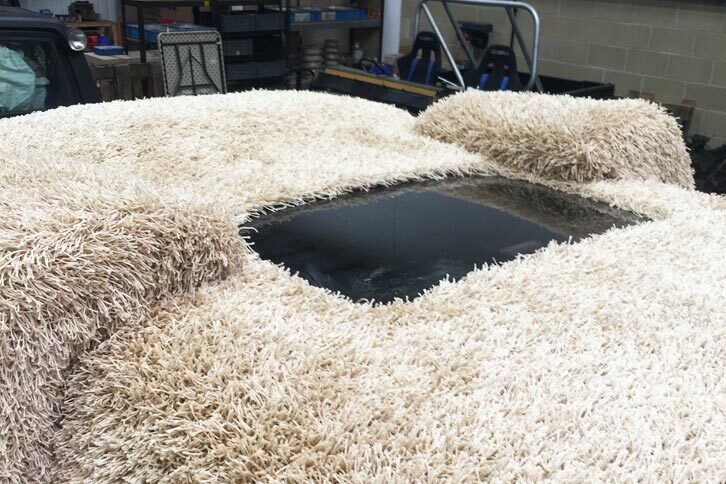 These were made from marine grade plywood and upholstery foam then wrapped in carpet before being bolted through the chassis to secure them in place. Once fit, we moved onto the iconic signage. 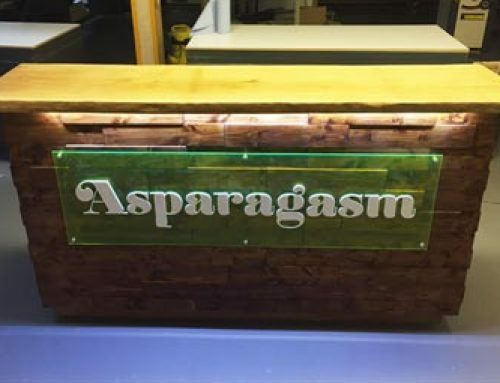 These were made from marine grade plywood and a combination of spray painting and hand painting using laser cut stencils allowing us to closely match the signs from the film. These were bolted through the side of the van to secure in place. 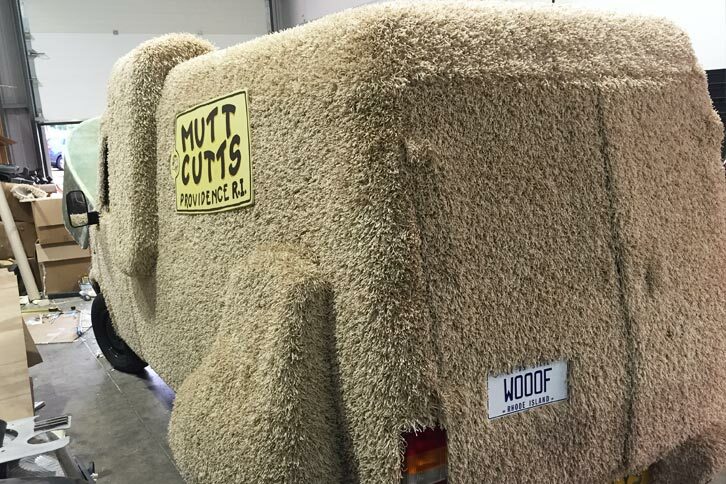 With the Mutt Cutts signs and WOOOF number plate installed all that remained was the front end. 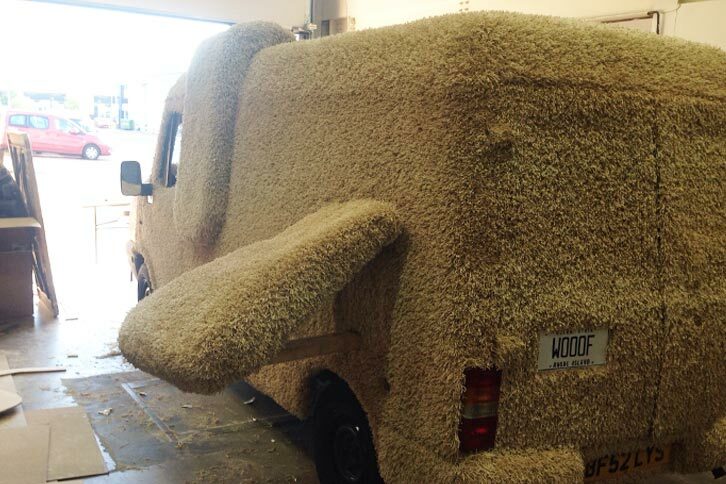 The nose section was always going to be the trickiest part and would really make or break the final look of the van. The biggest issue with this element was staying true to the film while still creating a functional part that would work with the LDV van. 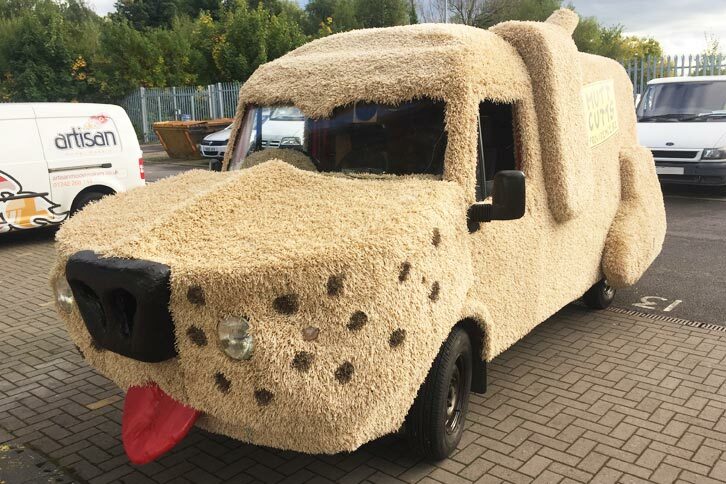 This included ensuring the bonnet could be lifted as normal with the nose attached, fitting properly aligned and road legal lights, as well as providing adequate ventilation to the engine to prevent over heating – oh yeah, and making sure it looked like a dog! We began with a basic wooden frame and skin to get the best shape around the existing front end. Once happy with this we sculpted exaggerated shapes for the nostrils and bridge of the nose. 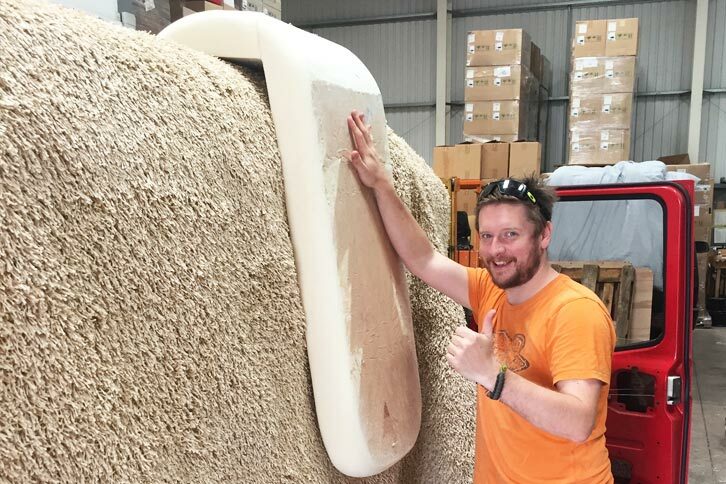 With all these components ready we used this final shape as a crude mould to lay-up fibre-glass (GRP) and carbon reinforced composites. The final 1 piece composite front end was then bolted to the steel reinforced bonnet with nostril and light holes cut out. 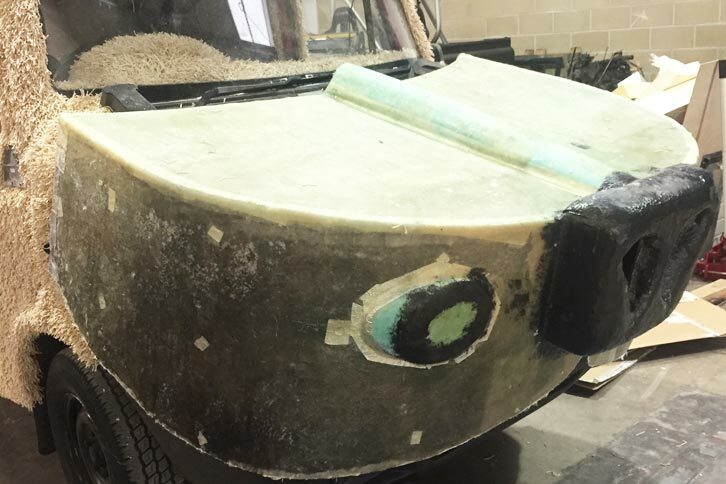 A funnel system was fabricated for inside the nostrils to allow air flow directly into the intake of the van and Land Rover Defender light clusters were installed and properly aligned. With a fully fitted nose we were left with only a few small jobs to finish up the project. 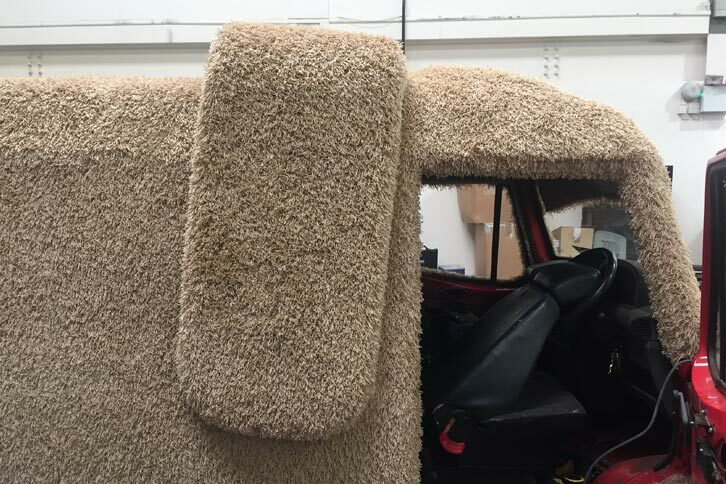 A tongue was made from upholstery foam and outdoor pvc seating material, a spring loaded tail was constructed and fitted to the back and even the interior was treated to some shag pile. 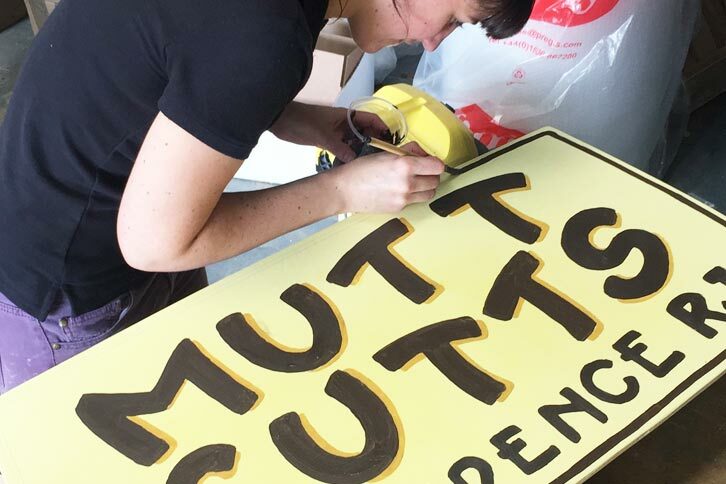 A few final details with spray paint for the wheels and muzzle features, a coat of Scotchgard and it was ready for its maiden voyage as a dog! The final look was pretty close to the film version considering we began with a 2002 LDV Pilot and not a 1984 Ford Econoline! 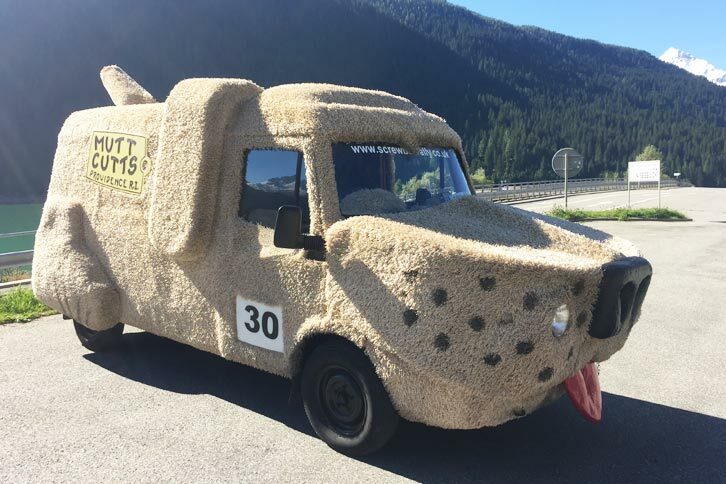 The van successfully completed the 2000 mile rally and was turning heads through France, Luxembourg, Liechtenstein, Switzerland and Italy; even crossing over the Alps and returning looking as good as new. Click on some of the progress pictures below to see how it was done.